The Invisible Library is a secret organization, working across and between a myriad of worlds in countless realities. Irene is a Librarian, tasked with acquiring books by legal means…or any other way that works in Genevieve Cogman’s The Lost Plot, the fourth book in the Invisible Library series. The Librarians are neutrals between the chaotic Fae and the order-driven Dragons, but that balance is at risk when a Librarian is found helping an ambitious Dragon in a quest for a rare edition found only in a world stuck in the Prohibition era. Irene must hobnob with mobsters to get the book. Irene’s weapons: the Language that can control minds and objects, and her protégé Kai, who is a Dragon prince in disguise. Without the help of a Sherlock Holmesian detective from her base in a steampunk London, she bounces from another Boston to a New York where things are blown up with alarming frequency…and she has been fingered to the police as a British crime kingpin. 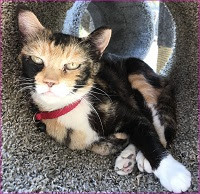 Some gangsters want to make deals with her, and others want to deal her out and put her six feet under. The series is cheeky, action-filled, and ripe with sexual tension (How do they really feel about each other? What should they say? What should they do about it?). This volume starts with a mini-adventure (sort of like your favorite James Bond movie) involving vampires, an exchange gone wrong, power words, and threats of forced conversion, but all the special effects are in your mind. Kai and Irene spend more time apart than usual, which gives them more space to deal with different threads of their tangled adventure. There is more uncovering of Dragon politics, and temporary allies can come from unexpected quarters. The Roaring '20s settings are reminiscent of Star Trek’s gangster-filled “A Piece of the Action” episode, but with undercover Dragons instead of Mr. Spock and the unfortunate laundry accident (extra points to Trekkers/Trekkies who remember that line). It’s world-hopping fun with a wink and a smile. 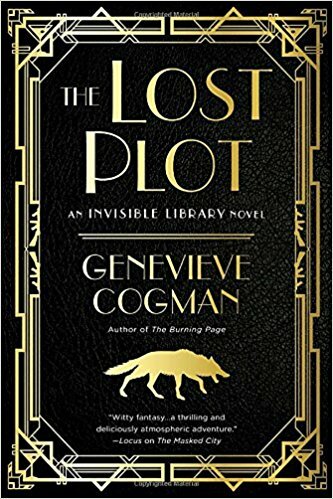 If you liked Fantastic Beasts and Where to Find Them, you ought to check out the Invisible Library books by Genevieve Cogman. To enter to win a copy of The Lost Plot, simply email KRL at krlcontests@gmail[dot]com by replacing the [dot] with a period, and with the subject line “plot,” or comment on this article. A winner will be chosen April 7, 2018. U.S. residents only. If entering via email please included your mailing address. If entering via comment please be sure to include your email address. This is a delightful series - so much fun to read! Have not read this series yet but looks so good. Thanks for the chance at the giveaway! Another new author to me. Sounds like a fascinating read.